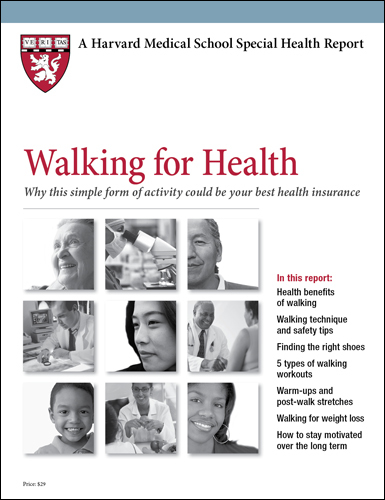 walking may be the most perfect exercise, to how to get started on a walking program, to specific walking workouts. It even has a special section on walking for weight loss. Start walking, and you’ll be helping to make your community stronger, too. Social scientists have found that as more people take to the streets, neighborhood crime rates fall and the local economy improves. It’s also a wonderful way to meet new people and connect with neighbors. Take a walk with your children after dinner. It can promote better communication, reduce behavior problems, and improve academic performance. 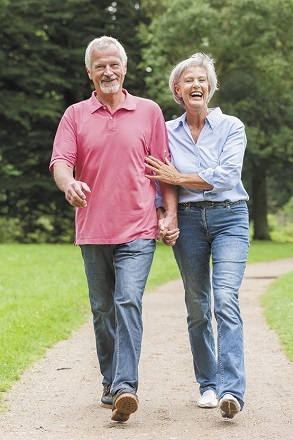 Walking can even help your mood. A number of studies have found that it’s as effective as drugs for decreasing depression. It can help relieve everyday stresses, too. Tension starts to ease as the road stretches out in front of you. Mood-elevating endorphin levels increase. Many people and that walking helps clear the mind, too—you may even and the solution to a problem that’s been bugging you. So don’t wait for your next doctor’s appointment to get inspired. Put on your shoes, step out the door, and rediscover the joys of walking. Should you check with your doctor first?